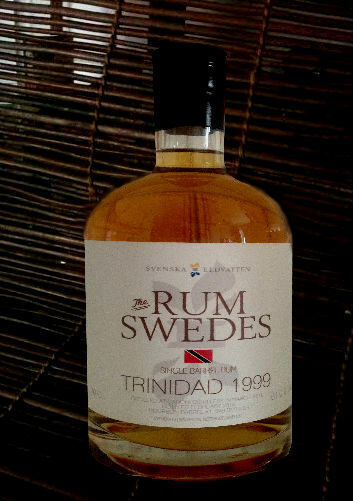 Here`s an interesting rum with great taste from the Swedish company, Renbjer and Magnusson. 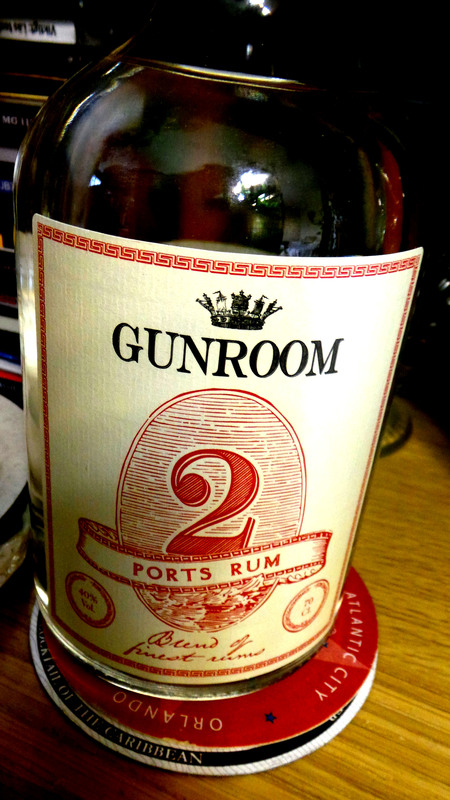 GunRoom 2 Ports Rum is a blend of aged and unaged rums from Jamaica and Trinidad. Just like the GunRoom Navy Rum, the 2 Ports Rum is also their own creation/brand with a very similar label although it´s a different type of bottle. This rum belongs to the GunRoom Pouring Range. The pouring range is high quality products at reasonable prices so that in the bar you can afford to pour good spirits into the usual drinks. This room is a mixture of two different origins. It consists of a aged rum from Trinidad with an age between 2-5 years and a minor portion of unaged Jamaican pot still rum. It`s a bright rum with character where the taste comes through in drinks. Perfect in Daiquiris or other rum cocktails. 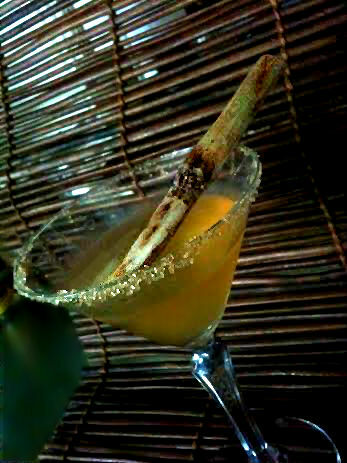 And a daiquiri – which is the rum test cocktail – is one of the two drinks I made. But before that, here´s my impressions from sipping it neat. Nose: The nose is fruity with mashed ripe tropical fruits, I get to think about mango, pineapple, peaches, apricots and banana surrounded by sugarcane sweetness.. 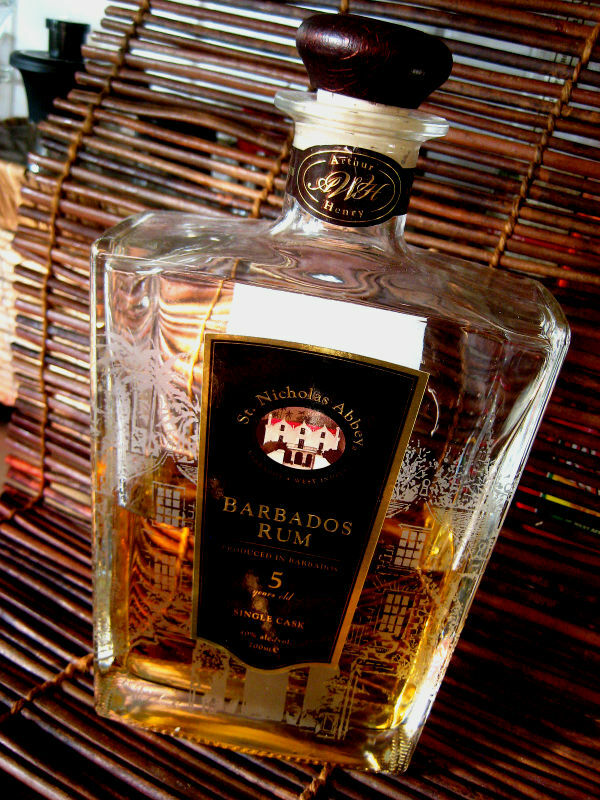 Mouth: I like flavorful rums and this rum has character, with flavors of tropical fruits same as in the nose with a hint of….arrack? could be because the first GunRoom rum has it. It`s fruity in a sort of light way but not so light it loses it´s character, it has a well defined flavor. 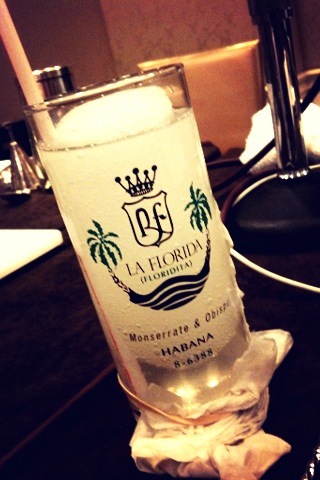 It`s a good rum for cocktails, especially daiquiris and of course it`s a pleasant little sipper too. Aftertaste: In the aftertaste the banana flavors says “hi” most likely hailing from the Jamaican pot still part of the duo. It`s a light aftertaste that does linger shortly but nicely. The color is clear due to the active carbon filtering taking away the color derived from the barrel during ageing. The abv is 40%, 80 proof. I decided to mix the GunRoom 2 Ports with another rum to see how it went, so I picked Plantation OFTD for that since a little kick of overproof always is to my liking. Then a little sweet, some sour, some weak and a little spice and bitter in the form of a float of Campari which I think turned out really well because the Campari played nicely around with the flavors in the drink. 0.5 oz/15 ml Campari to float in a half passionfruit shell on top of the ice. The passionfruit seeds from one passionfruit. Add everything to shaker except the Campari and shake hard with ice, strain into a snifter. Add the passionfruit shell with the Campari float on top of the ice, to be floated before drinking. Garnish with pineapple leaf. And of course I wanted to test this rum in a classic daiquiri (Jeff BeachBum Berry formula) and it passed the test and did well. Combine the sugar blend and lime juice in a mixing tin and stir until the sugar has fully dissolved into the lime juice. Add the rum to the sugar and lime mixture, along with large cubes of ice, cracked with a bar spoon. Quickly shake and strain the drink into a chilled cocktail coupe. Elixir Tropical is a tropical cocktail created by Maurizio La Spina, made for the 2017 Bacardi Legacy Competition and the south European final will be held on the 27 and 28 February in Madrid. 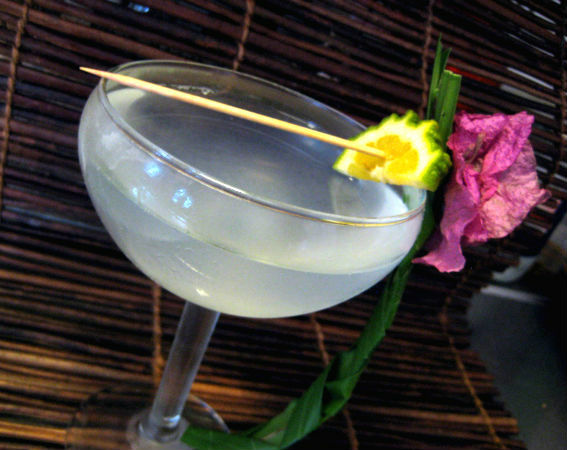 The inspiration of the cocktail comes from one simply question : What really is a“tropical cocktail”? – it would be an elixir with the power to bring your mind to a tropical island. 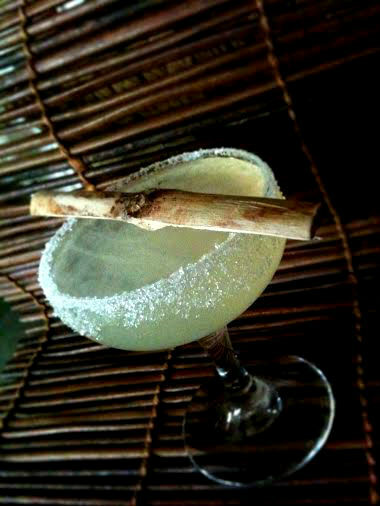 It is a celebration of the great golden age of Cuban cocktails and a tribute for the keystone of tropical mixology “the Daiquiri”. Maurizio La Spina is a bartender / Italian entrepreneur, born in 1984 in Naples, one of the most famous cities in the world for the hospitality and the food, he studied economics and interior design and in the meantime to fund his studies began working in the bar of a beach, and there he fell in love with bartending, public relations and tropical cocktails. So he decided to leave his studies to devote himself full time to the art of bartending and then began to study, train and work in the best cocktail bar in his city and eventually much of Italy, from in the “S’Move cocktail bar” of Naples up to the “Billionaire” in Sardinia. During a seminar on Tiki Culture with Daniele Dalla Pola Maurizio literally received an illumination and decided to get deeper into tropical and tiki drink mixing and created a project called “The Marama Project” that still unites many bartenders and Italian artists in dedicated events and also to the tropical tiki idea and creates its own Tiki mug-line with Neapolitan artist /ceramist Catherine Cioce who has since founded a small company with handmade production of Tiki mugs called “Maka Tiki“. A few weeks ago Maurizio managed to pass the semi-finals of the National Bacardi Global Legacy Cocktail competition in 2017, and February 27 will be in Madrid for the southern Europe final with his drink called “Elixir Tropical” which is a tribute to the Most Holy Trinity, the “Daiquiri “- keystone of the whole tropical mixing and a celebration of the great golden age of Cuba. Today he works in his training school for bartender’s in Naples as a teacher and continues to study rum and tropical and tiki drinks. It was through the gorgeous tiki mugs from the “Marama project” that I came in contact with Maurizio, I fell in love with the distinct style and design of these tiki mugs with all the details they have, and more of these mugs will come up on this blog later. Shake and strain into a cocktail coupe and dust some fresh nutmeg on top. I keep my thumbs for Maurizio in the Bacardi Legacy! The St Nicholas Abbey Distillery in Barbados operated by the Warren family is one of those gems in the rum world that you know always stand for impeccable quality and that will bring smiles to your face when you try their amazing rums which uses traditional distillation. The St Nicholas Abbey plantation was purchased by the Warren family in 2006 who restored the property to it´s original state and it´s one of the last surviving 17th century plantations on the island. Their mission is to make it self supporting and it also contains a cottage industry of sugar cane related products such as tasty brown sugars, molasses, sugar honey and rum cakes to name a few of the lovely products they make on the estate. The unaged “see through” was made with estate grown cane, crushed in a traditional steam press and then made into sugar cane honey and fermented before being transferred into a pot/column hybrid still named Annabelle for a double distillation. And then after distillation only water is added and there`s no chill-filtration used. It was a rum with a rich fruit and vanilla finish. 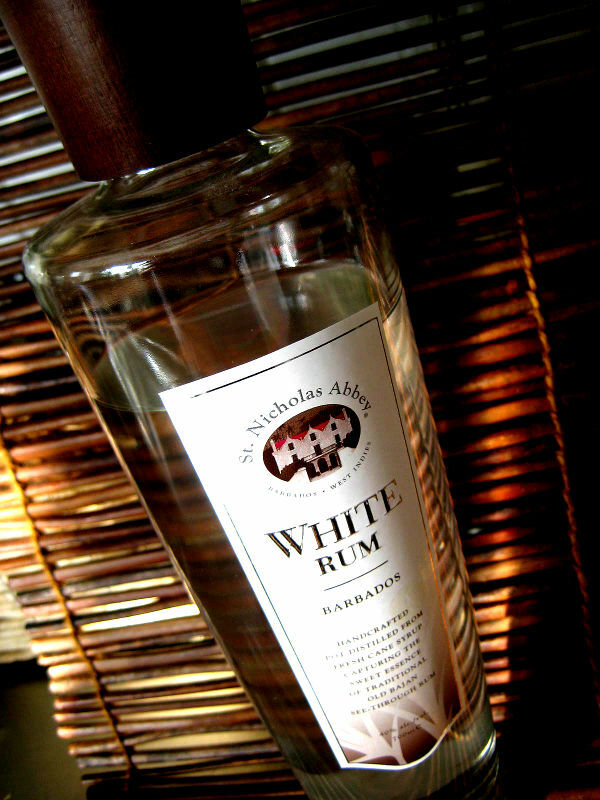 This lovely white rum later got a name – simply St Nicholas Abbey White Rum – and became the winner of the Bronze Medal at the 2012 International Wine and Spirits Competition in London and in 2014 it won the Premium White Rum Category at the Bartender’s Best Awards. Now at this past years UK Rumfest was out for tasting a portion of this white rum that was laid to rest and aged for five years and thus creating their first estate produced 5 Year Old Rum.. It`s their first rum distilled and aged entirely on the estate (the previous rums were made exclusively for the plantation by master Distiller Richard Seale from R.L Seale and Foursquare) and was ready in 2014. The St Nicholas Abbey Rum 5 Year Old is a beautiful Rum and commemorates a beautiful story – not least, the first generation of Warren’s, Arthur and Henry, born into St. Nicholas Abbey 21st May 2014. I believe the 5 Year Old Rum will be released soon during this year. Interesting also with St Nicholas Abbey rums is that these are not molasses rums! but neither are they rhum agricoles – they are made from fermented sugar cane juice, called “sugarcane honey”. Rhum agricole is made from fresh sugar cane juice and tastes totally different. 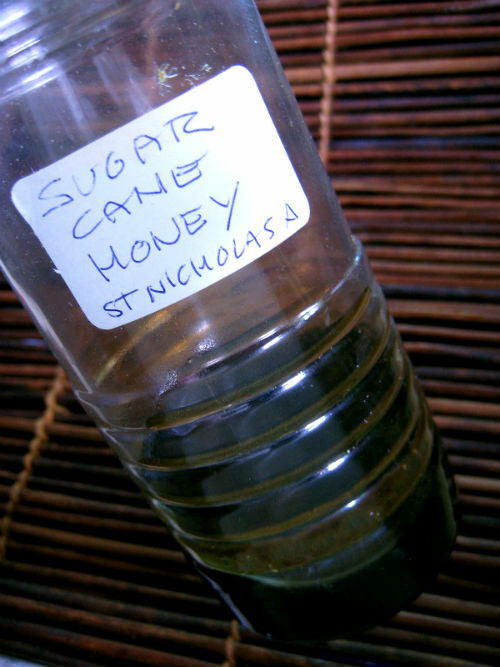 The fermented sugar cane juice is thick, syrupy and very dark brown in color, almost black – it looks like molasses but it is not and it doesn`t taste very much like molasses either. It has a sort of funny smell, i cannot really describe it, it´s like a mix of earth, dirt, molasses, old sugarcane syrup, yeast and overripe purple plums. Interesting how it can bring forth such rums as these! The nose is intense with fruity and sugar cane notes and somewhat slight peppery, this is a rum that got both attitude, complexity and flavor. In the mouth it`s rich, a bit fiery with white pepper notes, tropical fruits and vanilla. It has the same sort of intensity as a rhum agricole but lacks the agricole`s pronounced grassiness, instead it has a mellow fruity and slightly green vegetal note. And it has a little “bite” but in a good way, it´s not at all harsh, it`s round and very very nice. The bottle is simple, tall and elegant. Very pleasant rum and for mixing it`s perfect but it`s just as good for sipping. 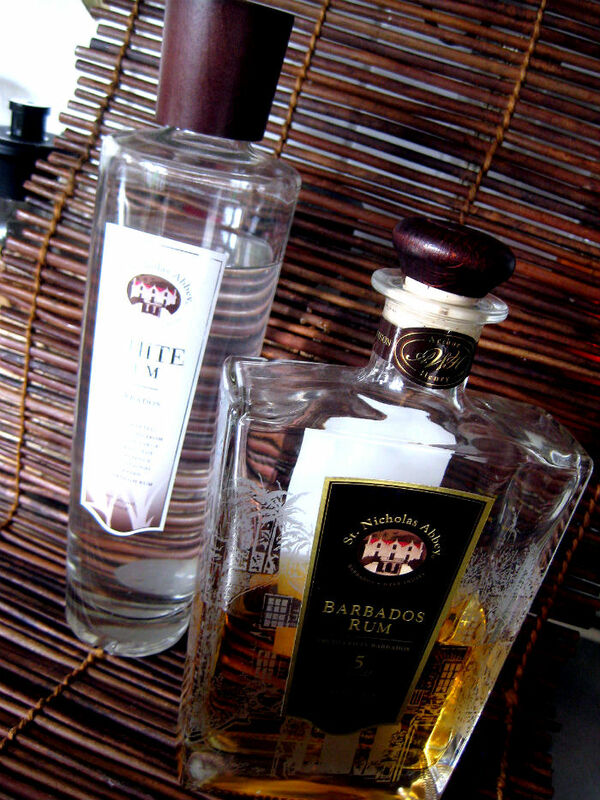 I would say it´s a very good all-round white rum that got it´s own personality with a slightly peppery attitude. 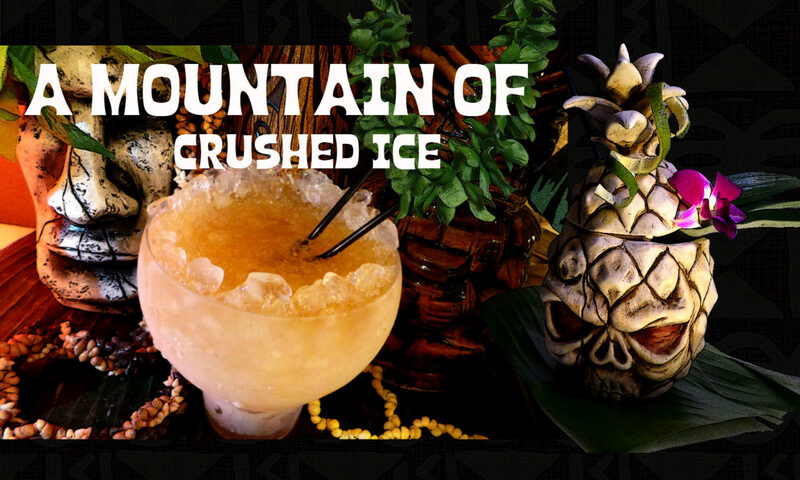 Try it in a refreshing daiquiri! In the nose: It has a brilliant golden amber color and when opening the bottle and pouring a little of the golden goodness into a tasting glass the velvety rich nose is filling the air with sweet, toffee-like notes that are totally addictive. I smell depth here too, not just toffee-like sweetness, there`s a hint of wood from the barrel it has been resting in adding some depth and character. The taste: Here you can feel the rum is young but it´s exceptionally well balanced and the same soft velvety character that was in the nose comes forth here too. It`s rich, warm, welcoming with notes of toffee, vanilla, orange peel and tropical fruit backed up by some spicier woody notes. The slightly peppery notes from the unaged white rum is not present, instead it´s mellow and soft but does have a lively character. I have tried their 12 and 15 year olds and they are both incredible rums, especially the 15 year, and this one is like their little sister. It has the richness of what i have got to know as the trademark of the St Nicholas Abbey rums but it lacks the extreme depth and complexity that the 12 and 15 year olds have and of course, it´s a lot younger! that said, it´s a very good rum and you can safely go and purchase a bottle without any hesitation, this is good stuff. 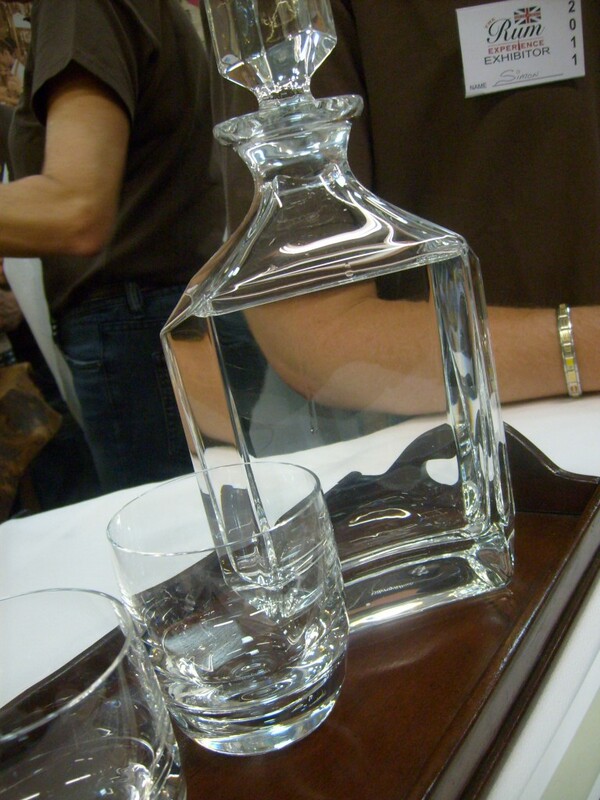 I would actually use this as both sipper and mixer and leave the older rums entirely for the sipping glasses. The decanter bottle is a masterpiece of beauty, simple and yet distinctive, elegant and with a personal touch with the beautiful engravings of the St Nicholas Abbey estate mansion and palmtrees (they do personal engravings too with for example your name on the bottle when you purchase directly at the plantation) hand applied labels and the mahogany cork topped with embossed leather which is symbolic of the islands first mahogany trees, planted 250 years ago on Cherry Hill. It`s really a thing of beauty! I cannot enough say how good the rums from St Nicholas Abbey are, everyone of them! this is quality at it´s best! and there are of course no extra sugar or additives in this rum. Go get a bottle of these and their other expressions and you will have treasures in your house. They are on the higher price level yes but you will get really good value for the money. 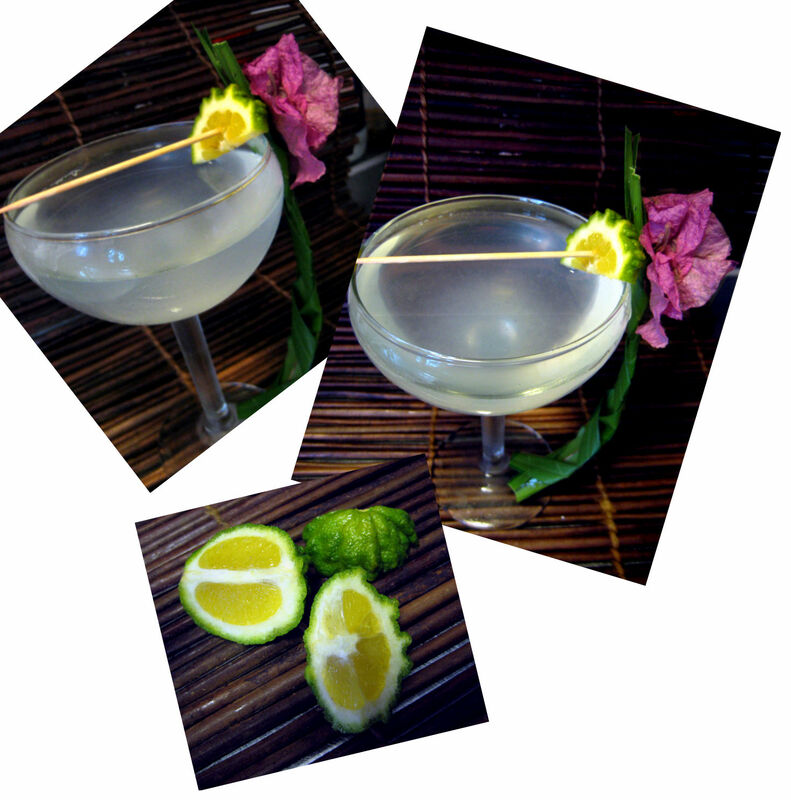 Shake and strain into a chilled cocktail coupe or glass and garnish with something tropical….i used speared pink bougainvillea, braided palm leaves and a lime slice. 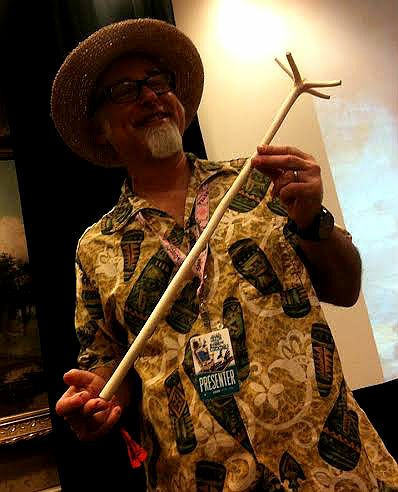 Don Pancho was born in Cuba in 1938 and he first began working with cutting sugarcane in the fields with his father. He worked his way up and became the Cuban Minister of Rum. He spent 35 years running the famous Havana Club brand in Cuba before moving to Panama and opening his own distillery. And he built his own distillery from scratch in a small town called Pesé in the Herrera Province– Panama’s premier sugarcane region and bought a warehouse on the outskirts of Panama City and began stocking it with barrels of rum and out of there i now have these two expressions here to try out and make a few cocktails with. Selvarey rum is distilled in four copper column stills built in 1922 by American Copper & Brass Works. The rum is then aged in American white oak ex bourbon barrels imparting notes of vanilla and caramel. 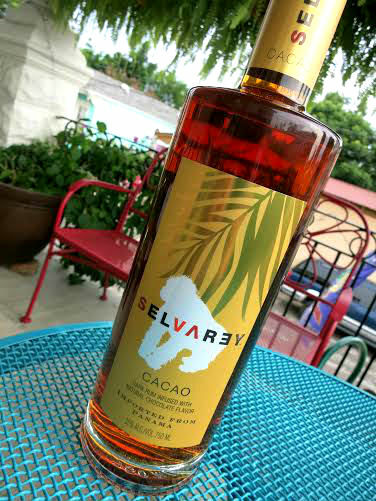 Water is added to bring Selvarey White down to 40% ABV and Selvarey Cacao to 35% ABV. 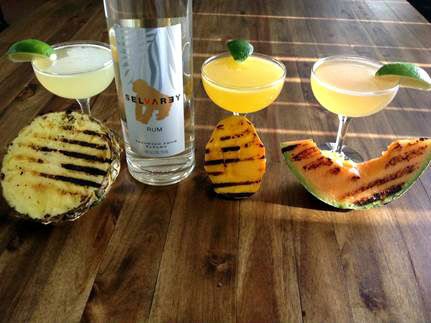 Selvarey rums are lush tropical rums, sweet and flavorful and you may sip on it´s own or mix with in various cocktails. The bottles are really beautiful, they look very exotic! they are also sturdy and quite heavy with a thick bottom. The white rum is a blend of three and five-year-old rums, distilled in 1922 copper column stills, aged in bourbon casks and carbon filtered to remove the color while keeping most of the flavors and it is made up of more than a single batch of rum adding to it`s complexity. From his warehouse, Don Pancho chooses a 3 year-old for its youth and vibrancy of fresh-cut sugarcane, and then combines it with a rich, full bodied, more mature 5 year-old. The nose is mild and sweet with hints of vanilla and fresh sugarcane plus a little bit of toffee and butterscotch.The mouth is quite viscous and the same notes comes through in the flavor along with creamy butterscotch. 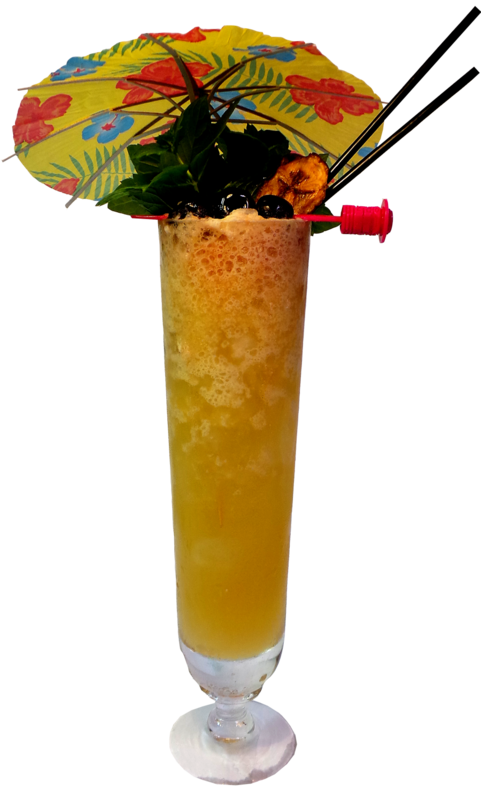 It`s designed to be a sipping rum enjoyed with some ice but it mixes well in cocktails like the daiquiri or mojito for example or any that contains citrus which it plays very well with plus the citrus cuts the sweetness a bit and adds that vibrant aromatic flavor. The cacao rum is made from five-year-old rum infused with locally sourced chocolate which doesn`t give the “chocolate bar” flavor but rather a fine flavor of the cocoa bean. Less sweet than the white rum and here you get vanilla notes plus some oak with a mild spice along with the flavor of natural chocolate. 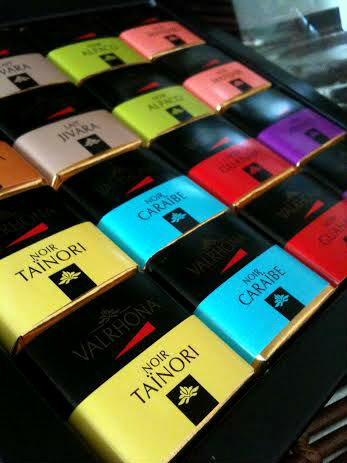 The color is dark amber/copper and when opening the bottle you immediately get the aroma of chocolate in the air. 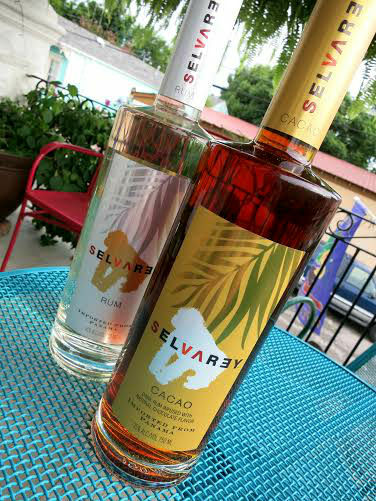 Selvarey Cacao won the gold medal at the 2014 Miami Rum Fest and was the first flavored rum ever to win the coveted Chairman’s Trophy at the 2014 Ultimate Spirits Challenge in New York City. I decided to first make two cocktails found on the website for a change instead of making my usual tiki drinks and the Rey Cafè catched my attention, a cocktail made with the Cacao rum, coffee and unsweetened coconut milk but i switched the espresso coffee for what i have on hand (and prefer) which is New Orleans Community coffee dark roast – which is strong and flavorful in the same way as Hawaiian Kona and Jamaican Blue Mountain coffees. Shake with ice and strain into a rocks glass filled with ice cubes and grate some cinnamon and nutmeg on top. A very nice cocktail indeed! 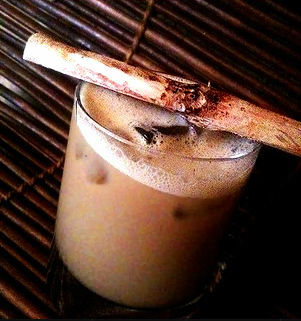 here you get cacao, sugarcane, coffee, cinnamon and nutmeg wrapped up in creamy unsweetened coconut milk…This cocktail can also be made warm for those stormy fall or cold winter nights. Shake and strain into a chilled cocktail glass, garnish with lime. Muddle the grilled fruit with the simple syrup and lime juice in a shaker. Add Selvarey White Rum and ice. Shake vigorously and fine strain into a cocktail coupe or other glass. Garnish with a lime wedge. Grilled Fruit: De-core or de-seed fruit first and cut, so as to expose a large area of fruit flesh. Grill, flesh side down, until grill marks are present (about 2 minutes). Cut chunks of fruit from grilled flesh and use to muddle in cocktail. 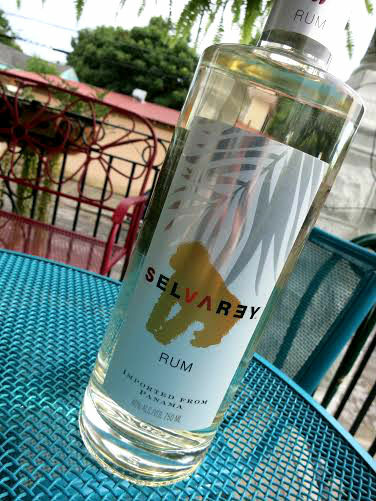 You can check to see where to find Selvarey rums here. 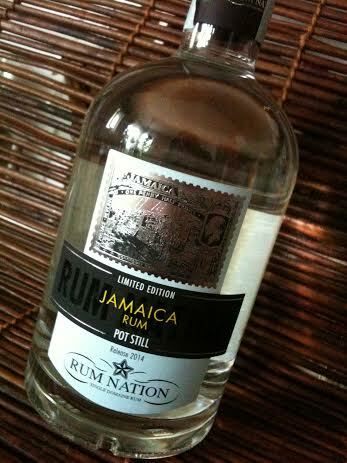 From Rum Nation comes this outright fabulous unaged white rum, a Jamaican pot-still rum from Catherine, Jamaica. First thought that hit me when i took the first sip was, this reminds me of a refined, deeper and more complex “third dimensional JWray” but that has much more going on… and it packs a decent punch with it´s 57% ABV or 114 proof. Yet it´s smooth…and it has no sugar added. The taste note that`s called glue or wood polish is the same that i call “kerosene” or “JWray” 😀 i find it very appealing, it adds a raw note and vibrant herbal deliciousness. It got that genuine Jamaican pot still funk to it. This new limited edition from Rum Nation aims at taking the taster by surprise – it`s not a mainstream white rum they find here. 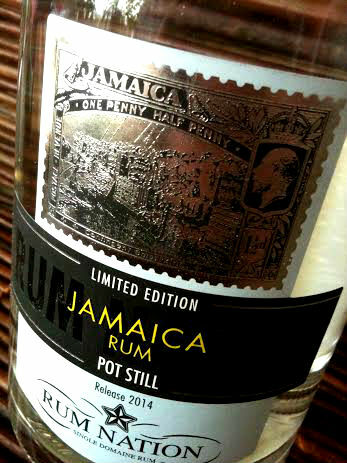 Here`s a rum from a Jamaican distillery using pot stills and willing to experiment with slow fermentation and distillation times to provide a white rum with a markedly estery aromatic profile. Do i see a slowly emerging trend here? 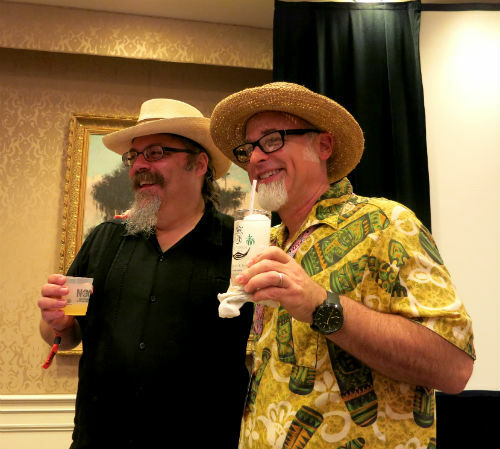 it occurs to me that rums with more flavor are popping up both here and there…and i like that! 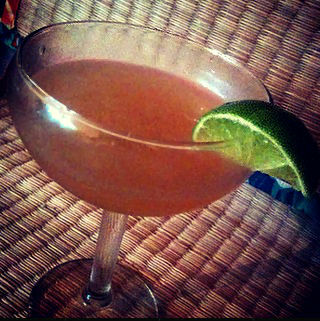 I made a grapefruit daiquiri and the drink turned out incredibly refreshing with the rum really shining through.You don`t need much of this rum to totally transform a cocktail. 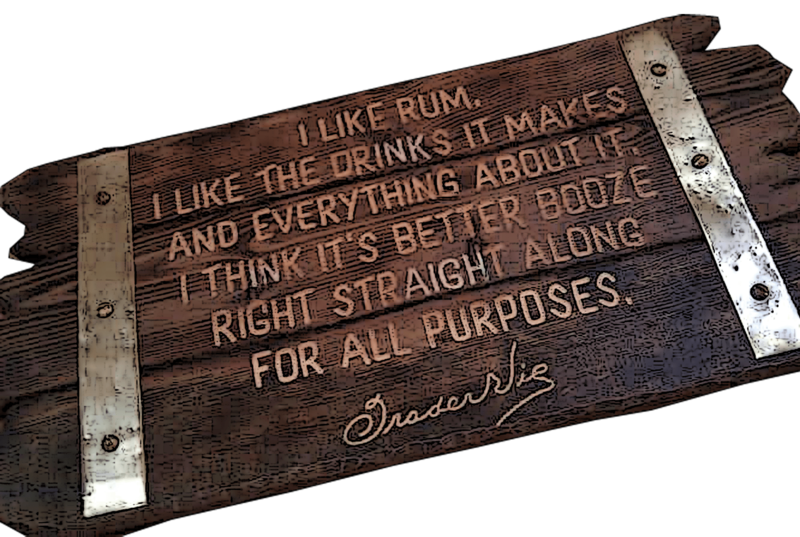 And i think that`s one of the aims with this rum, to make a rum that can be used in cocktails both in lesser amounts or more, mixed with other rums or by itself to create cocktails of various degrees of flavor experiences. It would fit both in classic cocktails, modern takes or tiki drinks, it´s versatile and fits many styles. Nose – Fruity….vibrant and crisp with green banana, tropical fruit mash and peel, caramelized cane sugar, “kerosene or herbal polish”, apricot, mango, citrus peel…green grass, white pepper. Mouth – Immediately comes the fruity and herbal character of this rum forward, backed by that “kerosene” typically Jamaican flavor, it´s slightly peppery, spicy, vibrant and smooth. 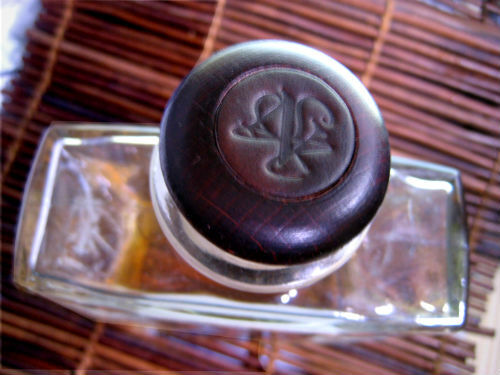 Also i need to say something about the bottle which i find lovely, it´s low and rounded, just lovely to hold and pour from and the label on the bottle with a silver colored engraved Jamaican stamp is beautiful! I also like the large black shadow of the name “Jamaica” on top of the grey, it looks classy and modern yet still has some genuine “old” feel to it. The stamp on the bottle is due to Fabio Rosso being an avid stamp collector in younger years and now adding a touch of class to the bottles with the stamps and a nod to the country of origin. Nice touch! I read about the stamps in an interview with Fabio made by Luca Chichizola and you can read the full interview here. 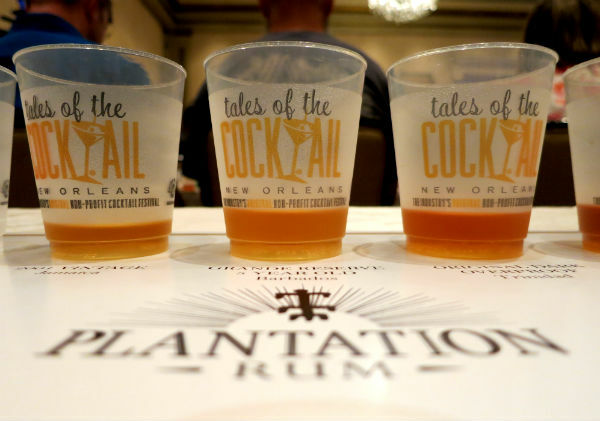 It`s a very interesting story about how Rum Nation came to be. 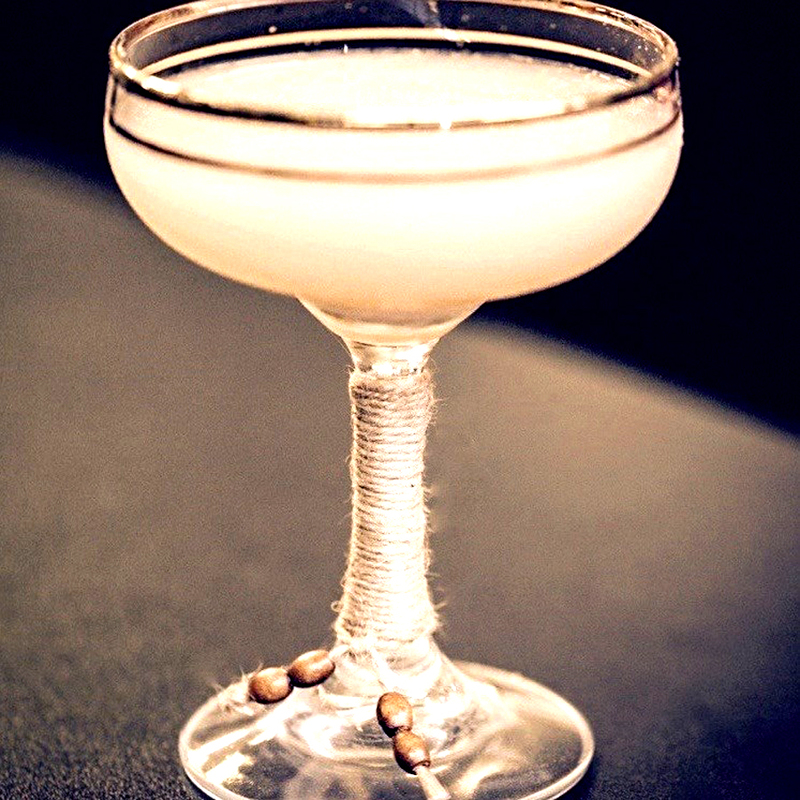 In cocktails – a little goes a long way and here´s room for lots of experimentation since only a moderate amount of this rum is needed to change the flavor of a cocktail. I wonder what happens if you pair this with a rhum agricole? i`m gonna test that later. Apart from that, the daiquiri really shines with it. And of course this would be great with Ting, the Jamaican grapefruit beverage! 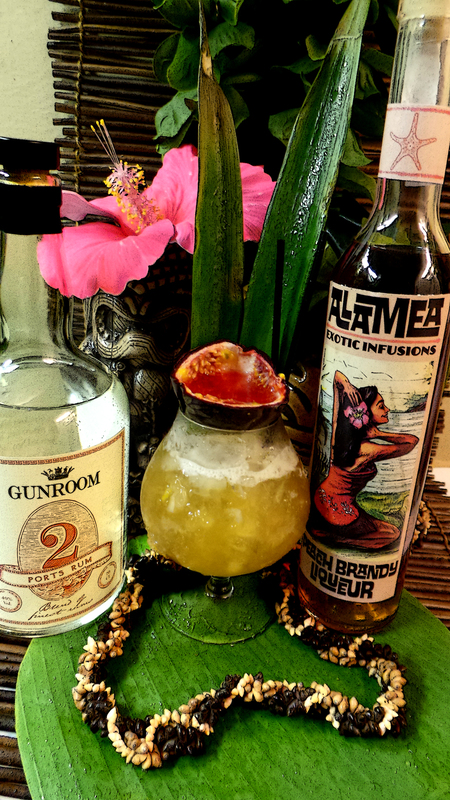 Since i`m a fan of this kind of flavorful rums i go all in with the cocktails! Shake with ice and strain into a well chilled cocktail coupe. This is VERY refreshing…and the Thai bitters adds a bit of bite of spice. In the Potions of the Caribbean i found a range of drinks i could do but i decided to make Jasper`s Rum Punch and switch out the JWray for Rum Nation Jamaican Pot Still Rum instead. I figured since the flavor profile is similar it would fit with this cocktail. Pour everything into a tall glass 2/3 filled with crushed ice and swizzle until well chilled. Top up with more crushed ice to fill, then swizzle again and finally garnish with mint sprig and lime slice speared to cocktail cherry. I grated a little nutmeg on top of the ice as well. To make Jasper`s stock mix – Squeeze 2 oz fresh lime juice into a jar and add 1.5 oz white sugar. Put lid on and shake until sugar dissolves, then add 3 -4 dashes Angostura bitters and 1/4 tsp grated nutmeg. Leave in fridge overnight and shake before using. And finally, a very beloved oldie – the Chartreuse Swizzle. But this time i changed it up a little bit and used equal parts green and yellow chartreuse to give it a slight more tropical sweetness, both floral and herbal. Also i switched out the pineapple juice for fresh grapefruit juice, but pineapple juice is tasty too and makes a sweeter drink. Add ingredients to a glass full of crushed ice. 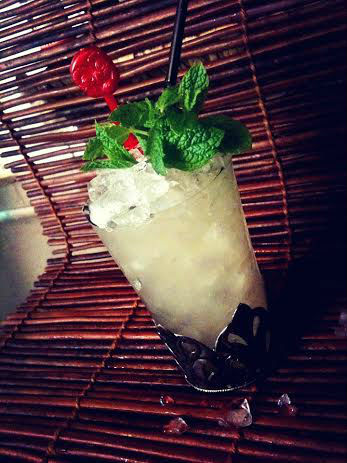 Swizzle until the glass frost on the outside, garnish with mint, and add straw. 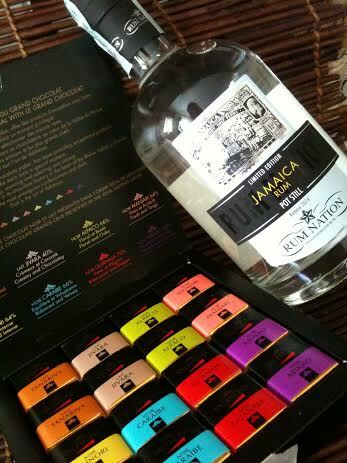 Now Rum Nation knows how to deliver “that little extra” and this they delivered in the form of a box with Valrhona chocolates…so here´s for doing a little rum and chocolate pairing as well! 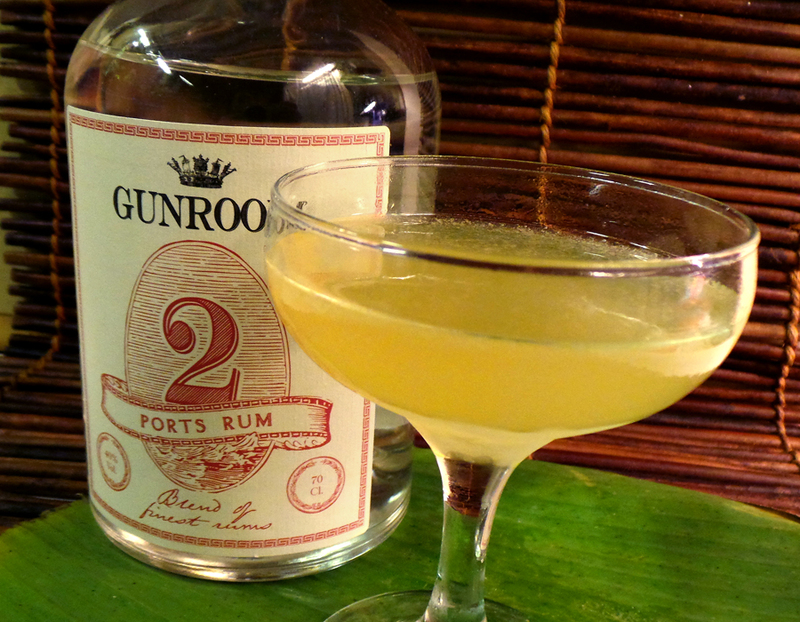 Obviously i can`t pair the rum with all of them in this post but after trying them i picked one that i think goes very well with this rum and which i warmly recommend – the bittersweet and elegant Guanaja. The bittersweet flavor pairs well with this rum i think. So how do you perform a rum and chocolate pairing? well i`m not an expert in this area but rum with fruity or peppery flavors does go very well with chocolate and adding a little water or an ice cube to the glass will help mellow out the stronger flavor elements in the rum as to not overpower the chocolate. Rum lovers ? i sure i can recommend this rum! go get it if you have a chance…it´s a limited edition. Rum Nation have once again come up with a great rum! Here´s another Caroni, also a single barrel rum, this one is 14 year old. It`s not as heavy as the last one but does have some punch with it´s 61% ABV. I find it fruity and pleasant. There were originally more than 50 different rums brands produced in Trinidad – by 1950 that number had reduced to 8 and today there is only one left – Angostura. Caroni was established in 1918 on the site of the old Caroni Sugar factory and operated until 2002. And i must say the flavor of the so called “heavy” Caronis DOES remind me quite a bit of a demerara rum, it has the same full bodied character but without that demerara flavor that only demerara rums have but it has the same type of character despite of being a totally different rum. Nose – The color is amber, like that of mashed mature banana and on the nose it´s fruity with hints of banana, apricot, papaya, orange peel and sugarcane. Mouth – In the mouth undiluted i get wood, burnt molasses, tropical fruits (same as the nose) it´s smooth to sip despite it´s strength and it has a very warm feeling. It´s not heavy, it´s fruity and complex with an array of tropical fruit notes. A lively and happy rum! Adding a few drops of water to the glass brings out more fruitness and makes it taste sweeter while still having a punch. 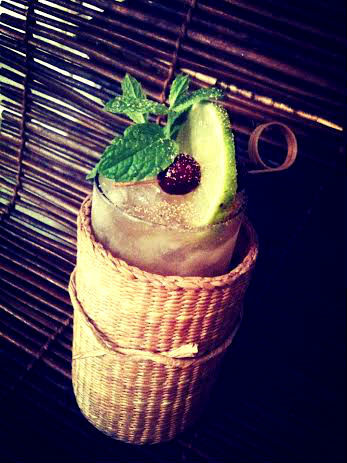 It´s easy to sip this rum! I made it a little bit different and maybe it was the mix of lime juices also that helped this drink become something out of the ordinary daiquiri-wise…? Shake with ice and strain into a chilled cocktail glass, rimmed with demerara sugar. I can recommend anyone who likes strong rum with good flavor to buy this Caroni – 99 single barrel rum. Outside of Sweden it can be purchased online on the Master of Malt website.